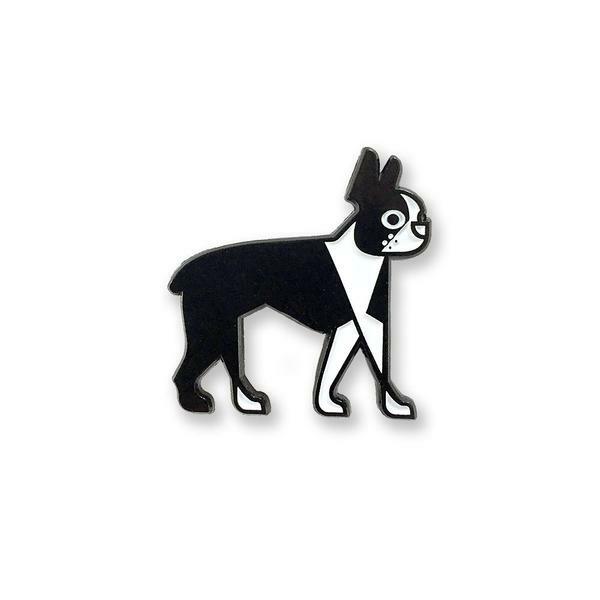 We practically melt at the sight of these cute animal enamel pins. No doubt, we are always on the lookout for more of these cute little enamel pins to add to our collection. Well, it seems your search is over, as we have collated the cutest animal enamel pins just for you. Check them out! Creative and insightful art by Alba Paris, this beautiful enamel pin invokes a sense of empathy for our furry and non-furry neighbors. 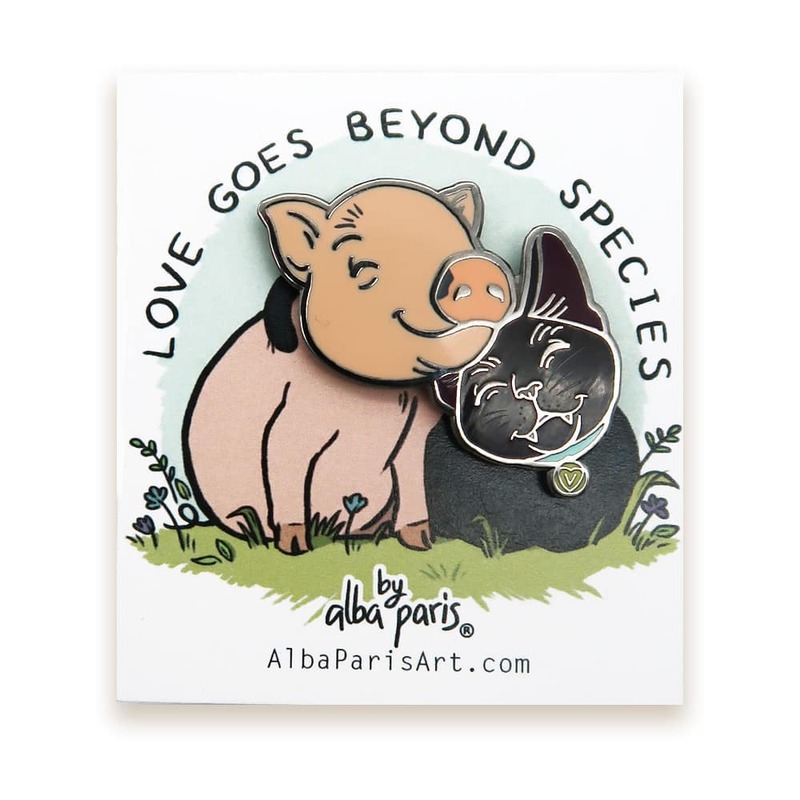 Alba Paris is an insightful vegan artist who communicates her passion through these amazing pins. She is no doubt a rare type of artist-activist who has found a balance between her love for arts and animals. No doubt, Boston terriers have snuggled their way through our hearts. Created by our favorite skateboard designer, Joe Castrucci for his Habitat Skateboards, this cute soft enamel pin is a fan-favorite. Mind you, there are more cute Habitat X Pindejo pins for you to check out. Searching for a cute enamel pin with a good fortune charm? 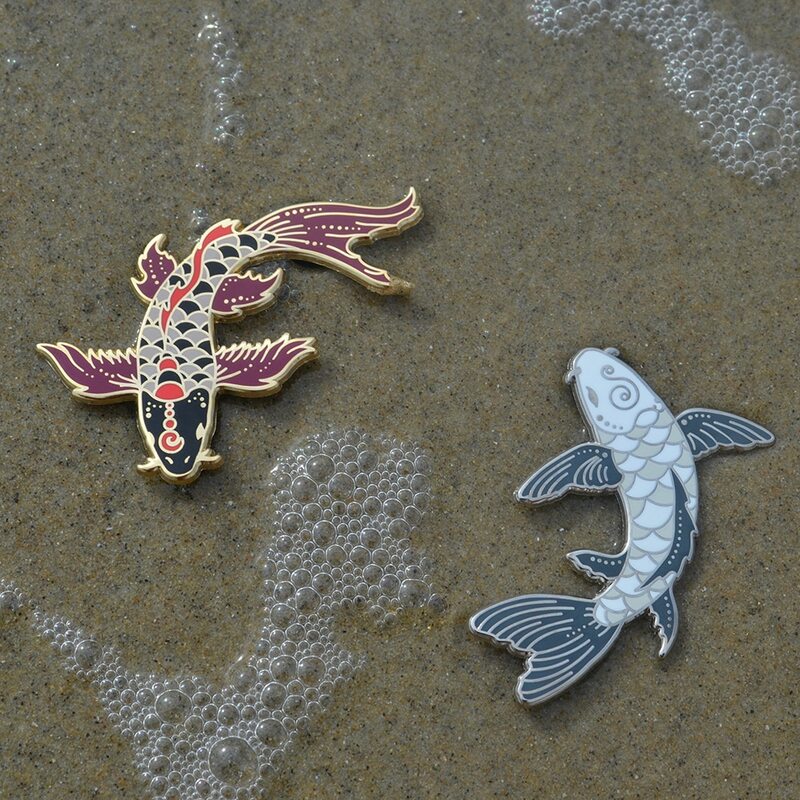 Well, you are in luck as this cute enamel pin features twin koi fishes, which are symbols of good fortune, luck, and perseverance. No doubt, this is one inspiring design by Katy Lipscomb. She’s an amazing water-colorist and illustrator with a flair of creating awesome artworks about animals. 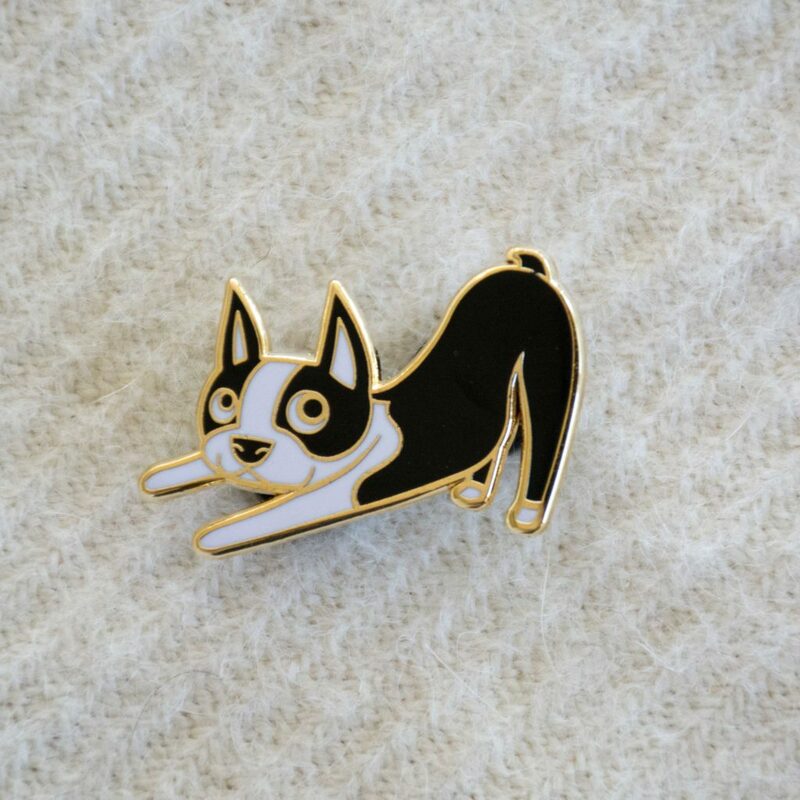 Yeah, this definitely ranks high on our list of cutest animal enamel pins. The “OK DOG” enamel design is not only adorable, but also a perfect accessory for your jackets and baseball caps. 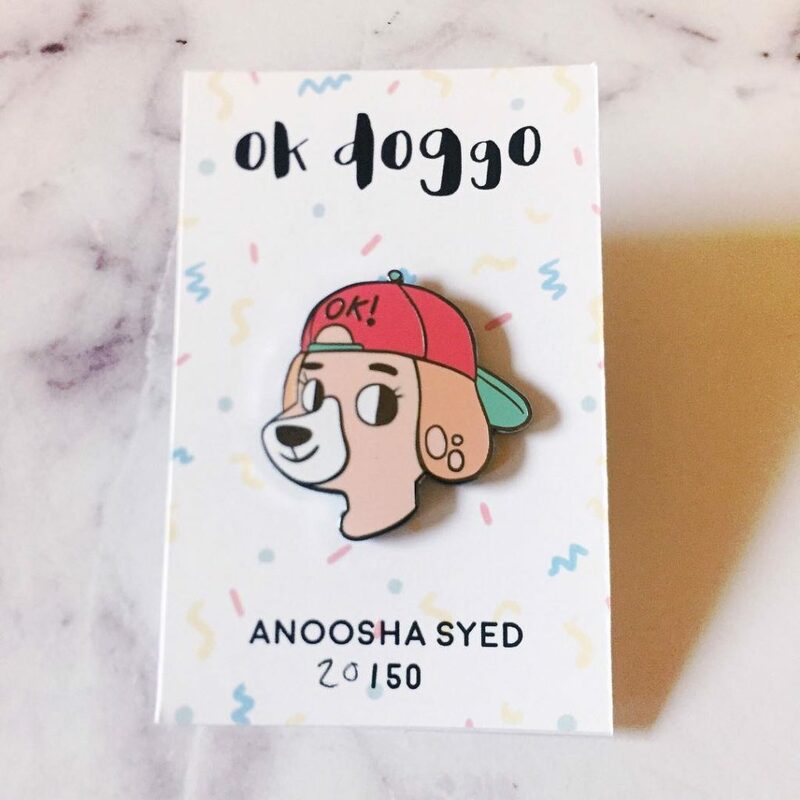 Created by Anoosha Syed, a Toronto-based illustrator from Pakistan, the “OK DOG” is one of her astounding creative designs. Anoosha’s work features bright-eyed cartoon characters bursting with charm and an overdose of cuteness. No doubt, she infuses life into her characters. Nothing tugs more at the heart than the cry of a lone wolf under a full moon. This cute enamel pins perfectly captures the emotion of this moment. What’s more? It’s gold and black backdrop makes it a perfect fit for formal wears or camping expedition. 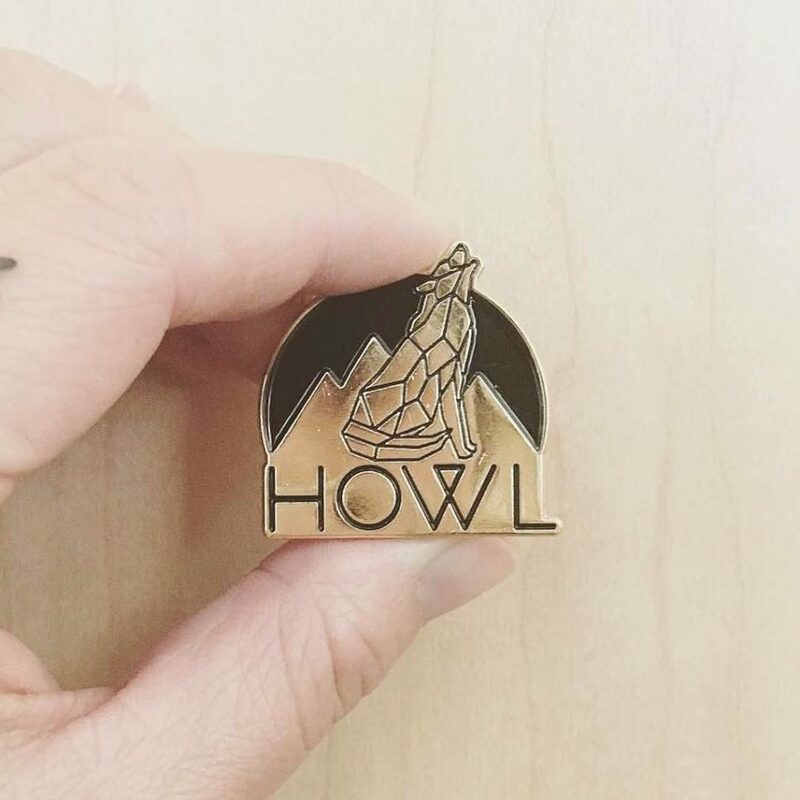 No doubt, this is one of the cutest animal enamel pin created by Howl Mercantile. It’s a full moon tonight! Matt Doering is a DreamWorks illustrator artist who has come a long way to become one of the best in his niche. In his interview, Matt places emphasis on the influence of his grandfather whose dream was to become a Disney animator. 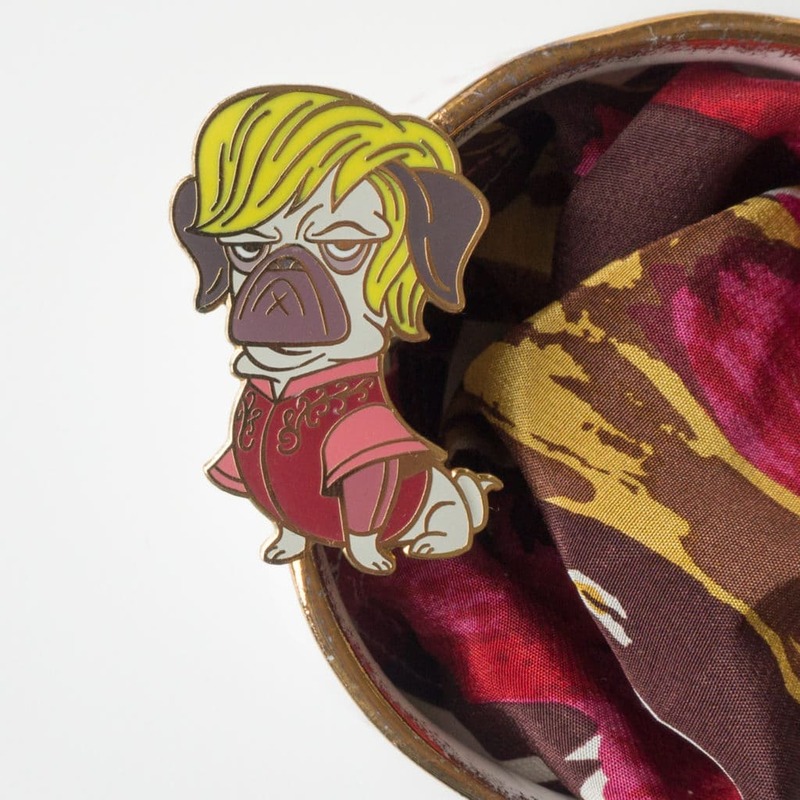 The “Game of Bones” is a great extraordinary and cute enamel pin inspired by the fiction Game of Thrones Character, Tyrion Lannister. 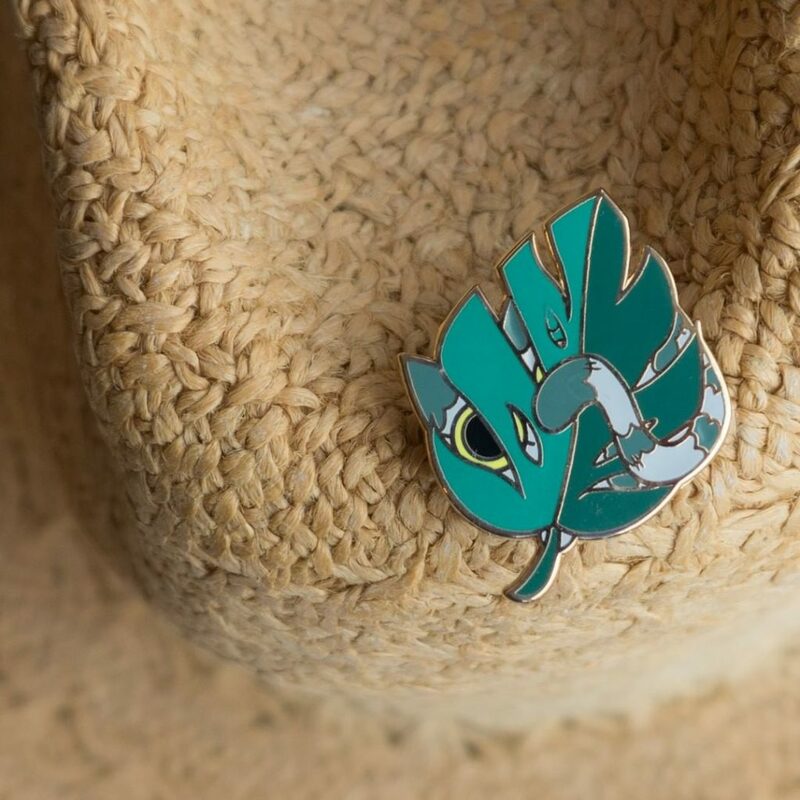 Here’s a simple yet cute enamel pin to include in your accessories. This artwork is designed by Rachel McAlister, an accomplished 2D, and 3D animator, with a flair for infusing life into her designs. Light and dark, yin and yang, the stars and the moon, all work together. 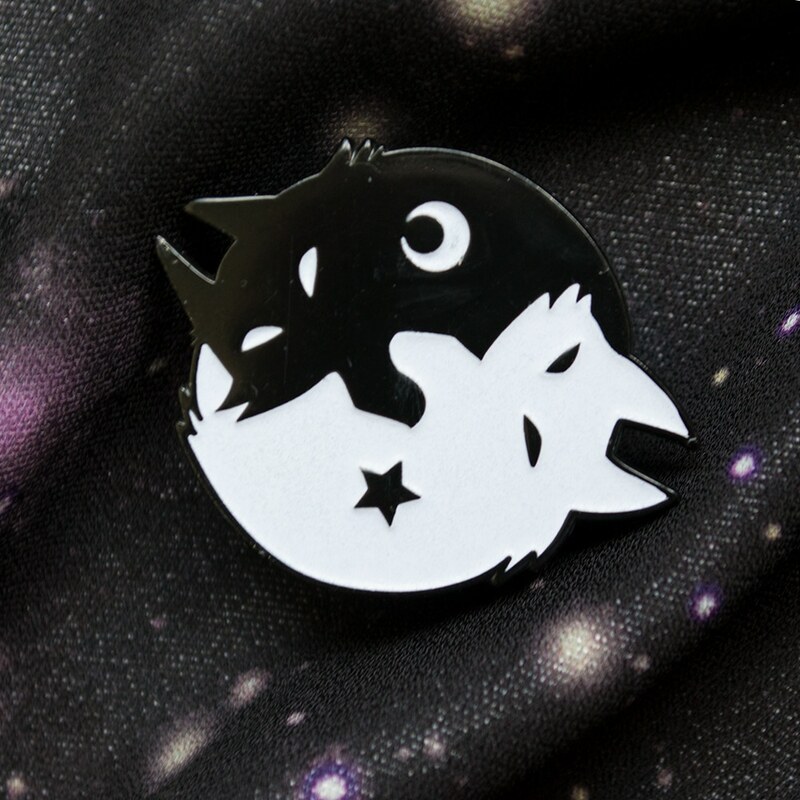 No doubt, the glow in the dark pin represents the balance of life through an inspiring artwork that shows two cute animals interlocked in a yin-yang pattern. Jijidraws is an illustrator and designers based in the United States. Her artworks center around body positive and macabre-themes. Nothing brings on the cute factor faster than a bunny. 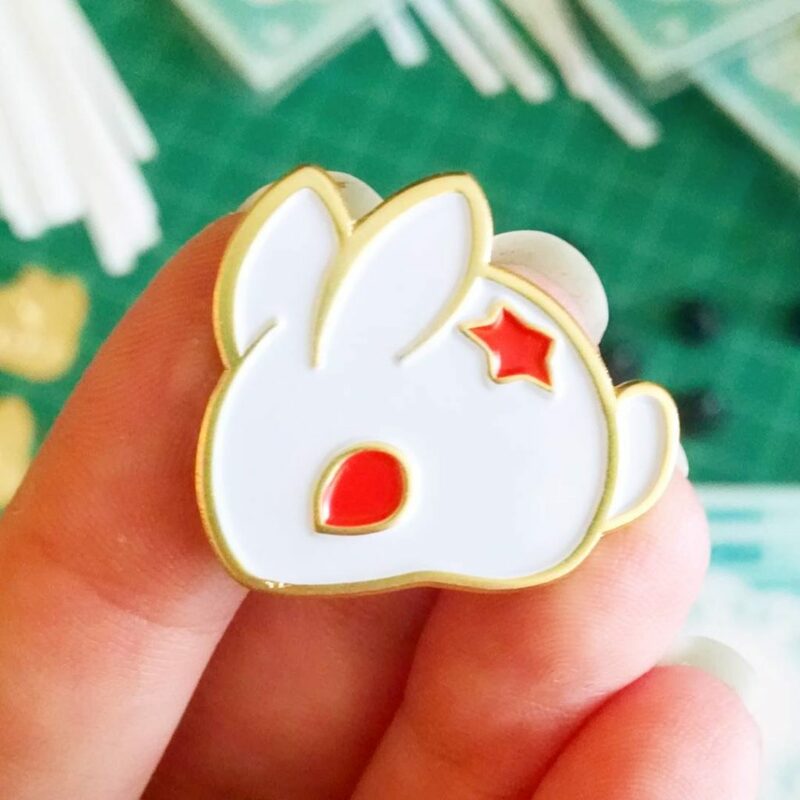 Designed by Aleasha Acevedo, the Bon Bun is hands-down one of the cutest animal enamel pin on this list. Doubt me? Rounding out the list, we have Lili Chin. Lili is an illustrator with vast work experience in most illustrator realms. Today, she draws inspiration from her blue-eyed Boston terrier, Boogie, and other types of animals. Most of her artworks revolve around animals and to create awareness about their wellbeing. Still reeling from that cuteness overload? Well, our top 10 list of the cutest animal enamel pins are just the tip of the iceberg. At True Metal Works, we can bring your cute and inspiring artwork to life via our stylish and durable enamel pins. Start a quote today. Send us a doodle, and we’ll see what we can do.